Quite possibly Handel's most magnificent opera, Alcina is filled with extraordinary musical riches & a lot of magnificent magic. Two exceptional women lie at the heart of the story: Alcina is a potent sorceress, which Bradamante counters with her self-confidence and determination on her quest to rescue her lover Ruggiero from Alcina's spells. If she succeeds, they will escape and no doubt live happily ever after. However, if not, Ruggiero will be transformed into the newest trophy in Alcina's enormous gallery of former lovers. Which will it be? Can he resist her magic? Now in his fourth season as music director of Orchestra Seattle and the Seattle Chamber Singers, Clinton Smith also maintains a position on the music staff of Santa Fe Opera, where he most recently served as cover conductor for Leonard Slatkin on a production of Samuel Barber’s Vanessa. During the 2017–2018 season, he will make three company debuts, conducting Il barbieri de Siviglia at Dayton Opera, Le nozze di Figaro at Tacoma Opera and Alcina at Fargo-Moorhead Opera. He will also return to Pacific Northwest Opera to conduct Turandot, and to Atlanta Opera to prepare The Seven Deadly Sins. Clinton’s recent conducting credits include The Mikado for Kentucky Opera, Hansel und Gretel and Norma for Pacfic Northwest Opera, Il barbieri di Sivigliafor the University of Michigan Opera Theater, and La finta giardiniera for Baldwin Wallace University. He has served on the music staff of Santa Fe Opera, Juilliard Opera, Minnesota Opera, Atltanta Opera, Portland Opera, Kentucky Opera and Ash Lawn Opera. Other recent posts include four seasons as artistic director and principal conductor of the St. Cloud Symphony, assistant conductor and chorus master for San Francisco Opera’s Merola Opera Program, assistant conductor for Glimmerglass Opera’s productions of Tolomeo and The Tender Land, music director of Western Ontario University’s Canadian Operatic Arts Academy, and guest coach at the National University of Taiwan. Patrick Hansen continues his unique career throughout North American as an operatic stage director, conductor, and vocal coach. His stagings have garnered praise in both Canada and the United States. Opera Canada wrote, " Patrick Hansen captured the opera's bohemian vitality - the city of Paris itself was the characterful backdrop to the action. When he ran out of space in Act II, the crowd simply spilled down into the auditorium . . the comic business was well handled . . . The acting, indeed, was a strong point throughout." Mr. Hansen has been on the musical staffs of the Lyric Opera of Chicago, Pittsburgh Opera, Tulsa Opera, Opera Memphis, Des Moines Metro Opera, Ash Lawn Opera, The Juilliard Opera Center, Fargo-Moorhead Opera, and Glimmerglass Opera as well as being the Director of Artistic Administration for Florida Grand Opera during the opening of the Miami Arts Centre. At ease in opera and musical theatre, his stage directing credits encompass the entire spectrum of repertoire now being presented in opera companies; Alcina, Orfeo ed Eudridice, Cosi fan tutte, Die Zauberflute, L'elisier d'amore, La traviata, Dialogue des Carmelites, Albert Herring, Hansel and Gretel, La Boheme as well as the musicals Camelot and Trouble in Tahiti. Currently the director of Opera McGill in Montreal at McGill University, Mr. Hansen is the former director of the Young American Artist Program at Glimmerglass Opera, and has presented masterclasses and coachings with the Young Artists of Virginia Opera and for many years served as the stage director at the Kennedy Center with the Washington Chorus' Essential Verdi. Mr. Hansen returns to Fargo-Moorhead after successful stagings of Fille du Regiment, Suor Angelica/Gianni Schicchi, and The Magic Flute in previous seasons. Miriam Khalil is an acclaimed Lebanese-Canadian soprano specializing in opera and concert performance. She has been lauded as a "skilled, versatile artist" with a “signature warm lyrical voice” by Musical Toronto and described as "dark, dangerous and alluring” by Opera Going Toronto. Miriam is a graduate of the prestigious Canadian Opera Company Ensemble Studio, the Steans Institute for Young Artists (Ravinia) and the Britten-Bears Young Artist Programme in England. While in her last year of the COC Ensemble Studio, she advanced to the semi-finals of the Metropolitan Opera Council auditions and represented the Great Lakes Region on the Met stage, during which she was featured in the documentary film The Audition. Miriam has appeared on numerous opera stages across Canada and Europe, including a stint at the renowned Glyndebourne Festival Opera in the United Kingdom. Notable roles include Mimi in La bohème (Minnesota Opera, Opera Hamilton & Against the Grain Theatre); Musetta in La bohème (Edmonton Opera); Donna Elvira in Don Giovanni (Opera Tampa & Against the Grain Theatre/The Banff Centre/Ottawa International Chamber Music Festival); Mélisande in Pelléas et Mélisande (Against the Grain Theatre); the Governess in The Turn of the Screw (Against the Grain Theatre); Cleopatra in Giulio Cesare (Glyndebourne Festival Opera, U.K.); Almirena in Rinaldo (Glyndebourne Festival Opera, U.K.); and Susanna in Le Nozze di Figaro (Pacific Opera Victoria, Opera Lyra Ottawa & Against the Grain Theatre). Holly Flack is a coloratura soprano praised for “wielding an impressive range, effortlessly reaching higher than high notes” with her unique vocal extension beyond an octave above high C.
Ms. Flack has performed with the Bel Canto Opera Festival, Astoria Opera Festival, and Operafestival di Roma. She made her debut at the Trentino Music Festival in Mezzano, Italy singing the role of the Vixen in Leos Janacek’s The Cunning Little Vixen. She was most recently seen on the FM Opera stage last season as the Queen of the Night in The Magic Flute. Additional roles include Serpetta (La Finta Giardiniera), Frasquita (Carmen), Despina (Cosi fan Tutte), and Peep-Bo in The Mikado. In 2015, Holly was part of the Gate City Bank Young Artist program where she covered the role of Marie in Daughter of the Regiment with FM Opera. 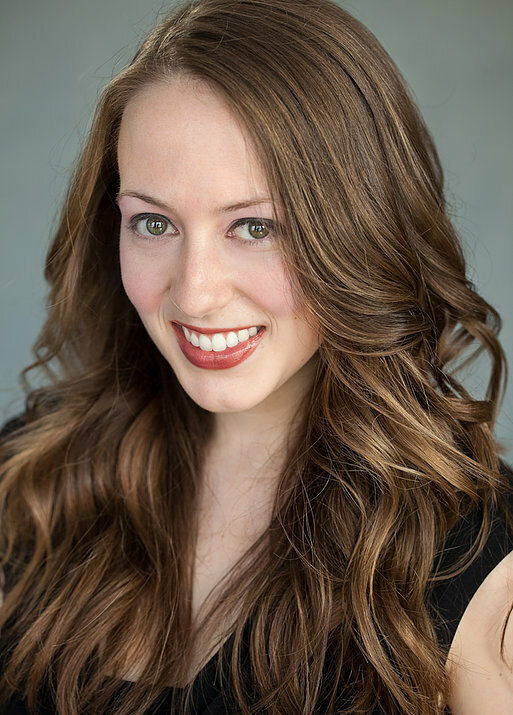 Originally from Portland, Oregon, Ms. Flack holds a Bachelors degree in Vocal Performance from St. Olaf College, and a Masters degree in Vocal Performance from The University of Kentucky, where she studied with soprano Cynthia Lawrence. 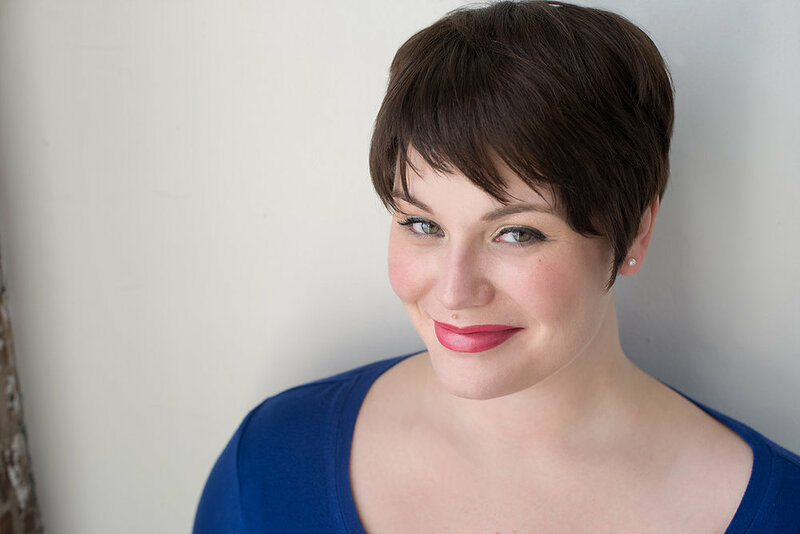 Lyric mezzo-soprano Holly Janz is a versatile singing actress with a voice that is evenly blended with clarity, richness and warmth. She has performed with opera companies across the country including Skylark Opera, Fargo-Moorhead Opera, Wichita Grand Opera, and Union Avenue Opera Theatre (St. Louis). Past credits comprise a variety of characters from the trouser roles of Cherubino, Hansel and Prince Orlofsky, to the ingénue roles of Nancy (Albert Herring) and Valencienne (The Merry Widow), to the more dramatic roles of Carmen and The Secretary (The Consul). In addition to her operatic stage credits, Ms. Janz is a compelling concert artist in both oratorio and recital. Orchestral credits include the Indianapolis Chamber Orchestra, the Indianapolis Philharmonic Orchestra, the Greater Grand Forks Symphony, the Fargo-Moorhead Symphony as well as the Central Wisconsin Symphony Orchestra. Ms. Janz, a native of Marshfield, WI, is an alumna of the University of Wisconsin – Stevens Point (BM). She has also received degrees from the University of Colorado (MM) and the University of Kansas (DMA, with honors), and is an associate professor of voice at Concordia College in Moorhead, MN. Called “winningly wily and dauntless” by Boston Classical Review, American Mezzo-soprano, Kate Jackman, is multifaceted musician and actress who excels in a variety of musical expression. As a2017 Gate City Bank Young Artist, Kate was seen as the Waitress in “Speed Dating Tonight!” as well as the Sergeant of Police in FM Opera’s recent production of “The Pirates of Penzance”. She also sang the role of Giovanna this summer in Ash Lawn Opera’s production of “Rigoletto”. Other roles that Kate has performed include the lead role in Oliver Knussen’s “Higglety Pigglety Pop” at the Tanglewood Festival of Contemporary Music, Hansel in “Hansel and Gretel”, the title role in “Carmen”, Dorabella in “Cosi fan tutte”, Bloody Mary in “South Pacific”, and Dinah in Bernstein’s “Trouble in Tahiti”. Ms. Jackman holds a Master of Music Degree from the Peabody Institute and a Bachelor of Music Degree from the University of North Texas. Tenor Jianghai Ho has appeared most recently as tenor soloist in the DePaul Symphonic Choir’s presentation of Rossini’s Stabat Mater, Rinuccio in Puccini’s Gianni Schicchi, Nerone in Monteverdi’s L'incoronazione di Poppea, Orfeo in Monteverdi’s L’Orfeo, Abraham Kaplan in Kurt Weill’s Street Scene, and Dr. Blind in Johann Strauss Jr’s Die Fledermaus with DePaul Opera Theater. He has also performed with the Duke Vespers Ensemble in Dietrich Buxtehude’s rarely-performed Membra Jesu Nostri at the Boston Early Music Festival, as well as the Chicago Symphony Chorus. 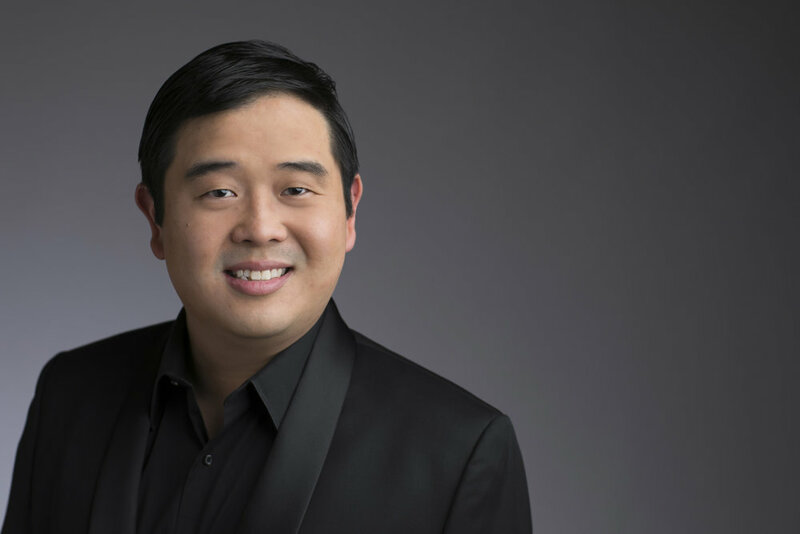 Born in Johor Bahru, Malaysia, Jianghai first discovered his passion for opera under the tutelage of Professor Susan Dunn at Duke University, where he graduated with a B.S. in music and biology. He graduated in vocal performance from DePaul University, where he studied with David Alt and Michael Sylvester. Mark Billy is a lyric baritone and Native American (Choctaw tribe) from Finley, Oklahoma. Mark’s undergraduate studies in voice at the University of Oklahoma were under the mentorship of baritone Richard Anderson. Mark has also had additional study with the legendary mezzo-soprano Marilyn Horne. Mark made his operatic debut as Il Commendatore in 2012 with OU Opera Theatre's production of Mozart’s “Don Giovanni”. The following season he appeared as Thoas in Gluck's “Iphigénie en Tauride”. In 2014 Mark appeared as Simon in OU’s choreographed production of Haydn’s oratorio “Die Jahreszeiten” and in 2016 Mark was featured as Moralès in “Carmen” with Indiana University.His graduate studies at Indiana were with soprano Carol Vaness.